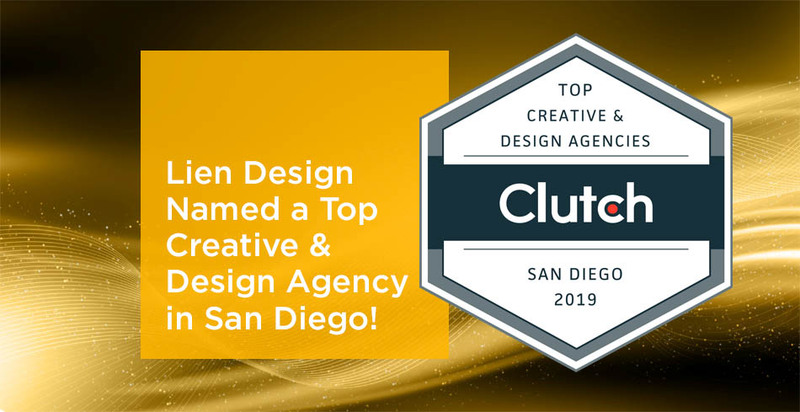 Lien Design Named a Top Creative & Design Agency in San Diego! For over two decades, we have delivered award-winning products catered to our clients in packaging, branding, and logo design. We firmly believe in delivering quality products that increases the brand value of our clients no matter their budget. Big or small, there is no project that we cannot do and our ability to do so is being noticed by Clutch! If you are an entrepreneur, you probably have heard a lot about branding…how to build a brand identity, how to market your brand, how to sell your brand…and the list goes on. But it is important not to overlook a very important part of branding, coming up with a name. Your brand name will be your first identifying factor and it will set the scene for everything your company does and how it is perceived. Also, once you come up with a brand name, it will be very hard to change it if you’re not happy with it down the road, so it better be a good one! But how does one come up with a great brand name? Well, here are a few suggestions. These are effective because they describe the company’s product or service. Some examples of these are Shredded Wheat or Whole Foods. There is no ambiguity as to what the brand offers. If you can add a bit of personality to a descriptive name, it’s even better. Toys R’ Us is a good example of a descriptive name that adds some personality. If you are launching a marketing and branding campaign for your company, it is important to pay attention to small details. These can easily be overlooked when you are focusing more on the big picture, but you would be surprised how important smaller pieces of the whole work to get the message of your project across. When thinking of these smaller details, typography is very important. The font you use should work well with your company identity while appealing to your customers. Keeping that in mind, here are some trends in graphic design typography you can expect to see in the coming year. 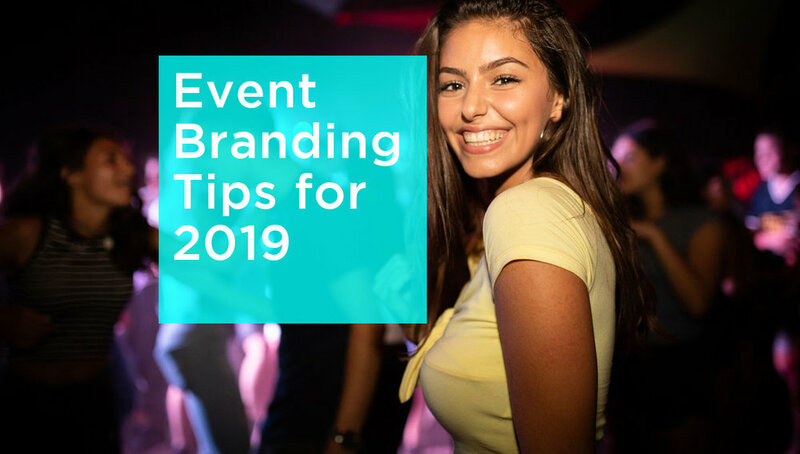 Although there are some general rules every company should remember when branding their products and services, these may change a bit depending on the type of business you are in. 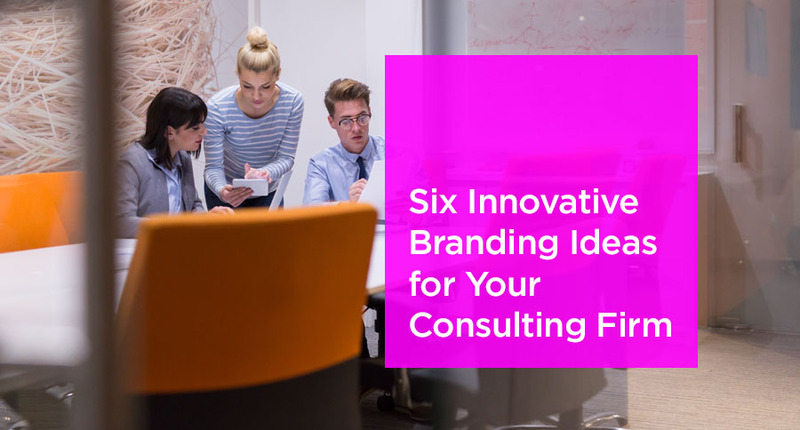 In this article, we will take a look at the business of consulting and what unique challenges are faced when building a branding campaign in this industry. When you think of most businesses, their specialty is pretty clear as soon as you mention them. For instance, if we talk about clothing retailers or equipment manufacturers, we instantly have a good idea of exactly what it is those companies do. Consulting, however, is much more vague. Therefore, when you brand, it is important to educate your audience on exactly what it is you do. Let potential customers know that you give advice and the type of advice you give. Social media is such an important part of branding. Companies are advised to post at least once a day to stay in the public eye. But as marketing teams face their computer screens each day, a common question arises…what do I post today? If you feel like you are stuck in a social media posting rut, here are some great fresh ideas. Pick a day each week when you air your series. This could be a go live session, a question that you ask customers or photos and videos that talk about what new specials or product designs your store might be featuring. An interior design is not only important in making a home look great, it can make an office look great as well. A nice looking office will be impressive to clients that visit and can help to boost employee morale. When creating an interior design for your office, you want to make sure your brand identity comes through. Here are some ways you can create an interior design that will represent your company well. Part of building a brand is building a strong social media and online presence and when we think in those terms, content is king. 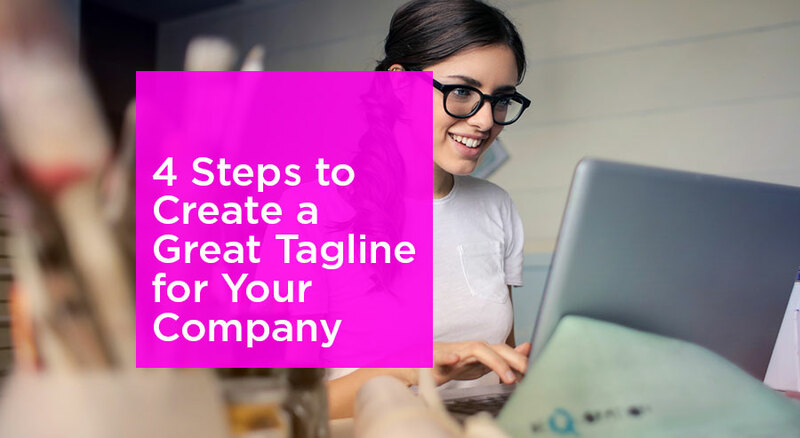 Providing engaging content is one of the most important ways to stay connected with your customer base to build loyalty and a more personal connection. Websites and social media should be updated frequently but coming up with effective content can be problematic for many companies. With that in mind, here are some trends we can expect for content in the coming year. Technology continues to evolve and offers us more entrepreneurial opportunities. If you are thinking of starting a business in the new year, you will want to make it a priority to design custom logo. Your logo will be one of the main things people see when you represent your brand and, because it is such an identifiable element, it will be difficult to change if you find you are unhappy with it at some point down the road. An amazing logo design should not only represent your brand well, it should be up to date with the latest trends, but also timeless enough so that it won’t look outdated in the next few years. With that in mind, here are some logo design trends predicted for 2019. As the world of branding continues to evolve, a number of new trends arise, some of which stand up to the test of time, while others fail. We can learn many things from past successes and failures and, as we enter a new year, it’s a perfect time to evaluate our actions to see what branding improvements can be made. Based on the way branding has evolved in the past year, here are some things to keep in mind. When you’re in the branding and marketing industry, failure is part of the territory. There is nothing wrong with failure, as long as you learn from it. Try to make this year full of failures that you can learn from and stay away from repeating actions that haven’t worked in the past. If you work in the field of design and branding, you know how important it is to be on top of the latest trends. As we head into a new year, let’s take a look at some predictions that are being made on the direction brand design will be taking in 2019. The Wellness Trend – To Continue or Not? For the past 10 years or so, brands have tried to appeal to us on a healthier level. 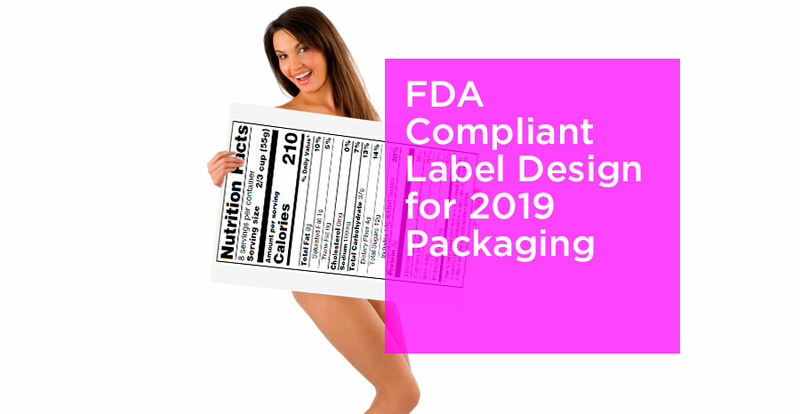 Whether healthy or not, these brands use natural packaging design, neutral colors, heroed ingredients, quirky copy and soft claims to make consumers feel they are making a healthy choice when buying the product. Although this trend still seems to be going strong as 2019 takes over, we can’t help but wonder if it will be time for a change in the way brands choose to represent ‘healthy’ and, if so, which direction these brands will be taking. Business Branding vs. Personal Branding: Which is the Best Option? If you are an entrepreneur working on launching a business, you may wonder whether it is best for you to build your company using business branding or personal branding. A business brand is built around an identity you create for your business and is independent of your personal name. A personal brand is built around you personally and your name and your business name will be one and the same. So which option is best for you? Read on to explore the pros and cons of each. The business world is extremely competitive. In order to stand out with marketing, brands often resort to extreme advertising that is sure to get consumer’s attention. Here are some examples of techniques brands have used which can be considered outrageous, extreme, unusual and, more than anything else…effective! A German agency created an unusual ad for the Nivea sunscreen company using a seagull drone to squirt unsuspecting children on the beach with its sunscreen product. The drone was 100% real and helped to promote the message that children needed sunscreen during hours of sun exposure and needed it to be reapplied as well. Although the commercial was deemed ridiculous by many, it also served to drum up a lot of attention for the brand.